1. What is Bay State Commons? Bay State Commons is a group of people who want to live in a residential community together. 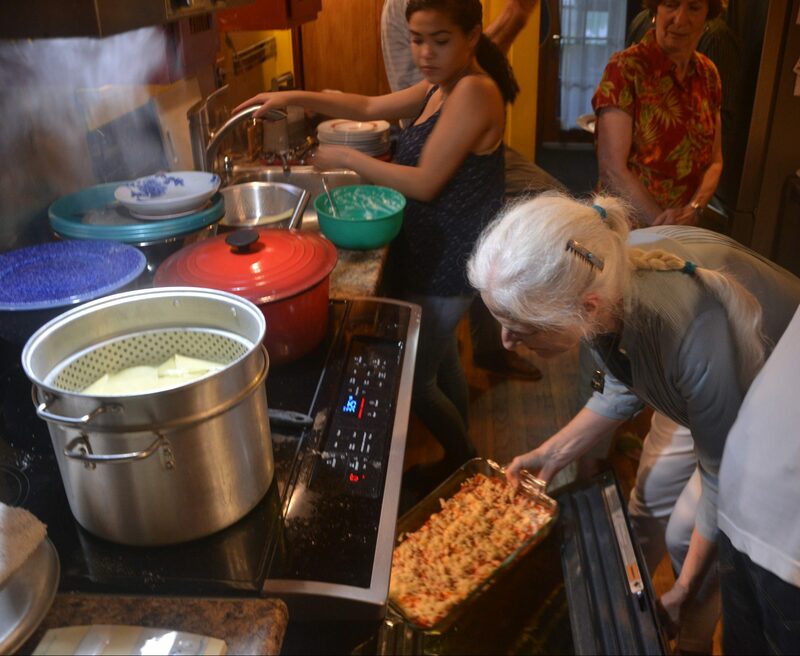 We are working as our own developer, designing and building a cohousing community of thirty households in Malden, Massachusetts. We are families, couples, and single people, representing four generations and a wide variety of tastes and interests. We are motivated by finding “the old neighborhood” feeling, where people not only know their neighbors, but are part of one another’s lives. It is important to us that our members can age in place and that parents have the support of their neighbors in raising children. 2. Are you a commune? We are not a commune. Bay State Commons is a cohousing community. Units will be privately owned, and they will be fully self-sufficient. That means you have your own kitchen, bathrooms, and living room; you can have your own in-home laundry; and when you close the door of your unit, you are free to enjoy the privacy of your own space. For more information about cohousing, see What Is Cohousing? 3. So, are you just a condo? Legally and in terms of ownership, we will be organized as a condominium. That said, we mean to differ from a typical condo both physically and in use. 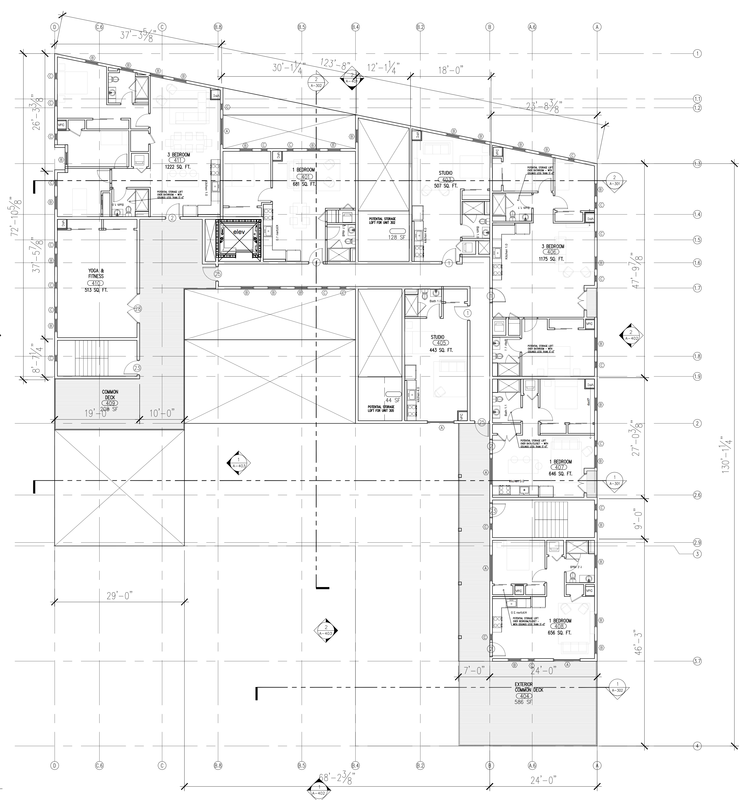 Our private units will be situated around a large common house. At over 5,000 square feet, this common house will include children’s play areas, exercise facilities, art and music spaces, a workshop, decks and gardens, as well as a “great room” suitable for a common meal of 70 people, a kitchen large enough to cook such a meal, and multiple living rooms and multi-purpose spaces. We choose to share these amenities and govern them as a community, because we believe the joys and efficiencies in such an arrangement outweigh the benefits of the divided and purely private. 4. Will I have to rent the common spaces? For the most part, no. 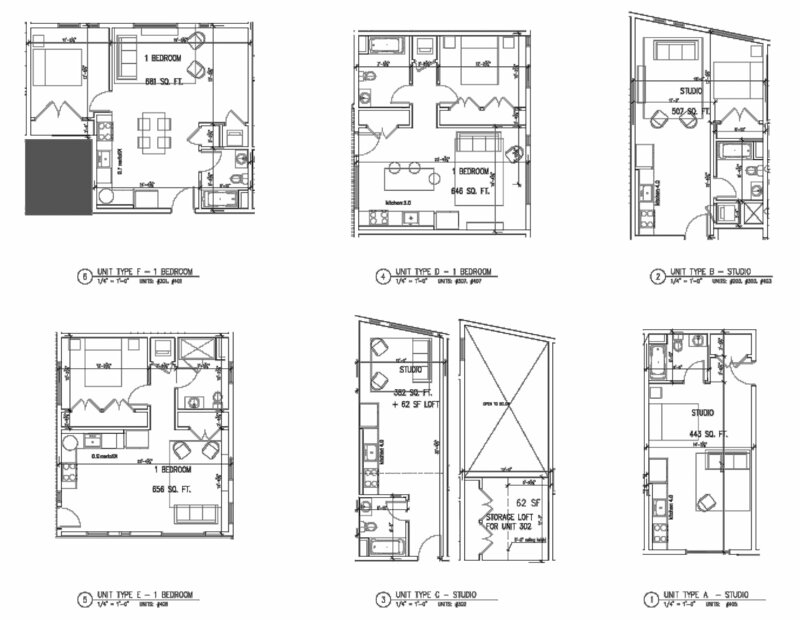 The common house will function as an extension of your private unit. In cohousing, common spaces are used freely and often. The opportunity to run into neighbors and spark conversation is a goal for us, and the common spaces will be built to facilitate interaction. This differs from many condos, whose clubhouse is locked unless paid for. There may be charges for holding meetings of outside groups or office meetings, but residents may just reserve the rooms on the community calendar. 5. How much community will there be? We seek a balance between the private and the shared. Like most cohousing communities, we will share the maintenance of our common facilities and grounds. There will be regular common meals, probably 2-3 per week, cooked by a rotating team of residents who have opted in to participate. Aside from this, we expect that our members’ passions and hobbies will result in all sorts of movie clubs, game nights, holiday traditions, and outings. Members will pick and choose between events and maintenance tasks. Some level of community engagement is expected, but in cohousing there are fairly wide ranges of engagement. Nobody will ostracize you or kick you out because you’re too busy this week or don’t like gardening. 6. How will the community be child-friendly? Bay State Commons is focused on being a great place to raise kids. Our community will have dedicated indoor and outdoor children’s play areas, secluded from the street and in clear view from common spaces. Beyond the facilities, cohousing offers particular benefits to children and their parents. In a community of trusted neighbors, children can run freer than is typical in today’s cities. Neighbors may offer to watch one another’s kids, or to take them along to the zoo or museums. Not only does this “free babysitting” help busy parents balance everything they need to do, it means children grow up knowing many adults as friends. Cohousers report that children grow up with a better understanding of what adult life is like and more ready to take on adult roles because they have grown up with so much peer contact with adults. 7. Where will the community be? 2-15 minutes’ walk: Beebe Harris public elementary and junior high school, Mystic Valley Regional Charter high school, Malden Public Library. 10 minutes’ walk: Fellsmere Park, with a tree-lined pond and fountains. 8. What will the units be like? 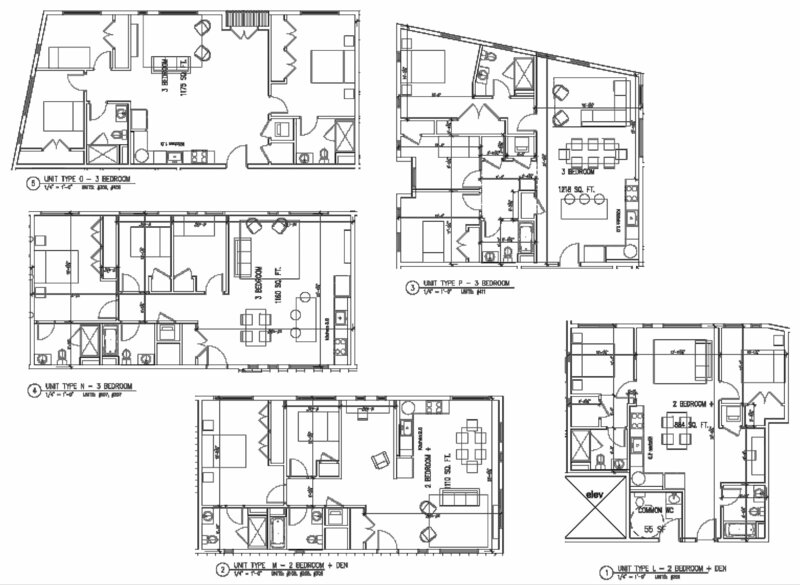 In individual units, we favored an open floor plan for flexible uses: even our smallest studio can host a holiday feast. The units themselves run from a 384 square foot studio to a 1,222 square foot three bedroom. 9. What are you doing to be environmentally sustainable? We have also prioritized energy efficiency and anticipate exterior walls with an R-value of 40. Our roof will capture rainwater in barrels used for watering our vegetable and herb gardens. The roof will be constructed to accommodate solar panels and we are currently evaluating the best way to include solar power generation. We have chosen highly energy-efficient boilers for heating and will bring fresh air into the building with a heat exchanging system to minimize loss. 10. Will the community be accessible for someone with a mobility impairment? Yes, we are designing with wheelchair and other accessibility in mind. An elevator will provide access to all floors. All private units will be visitable by a wheelchair and any unit can be converted to wheelchair accessible for a resident. We view this as essential to fulfilling our promise to help members age in place and to being an inclusive community. 11. Will I have to do laundry in the common house? All private units will be equipped with attachments for in-unit laundry. There will also be laundry rooms on each floor of the common house, each with multiple large washers. We wanted to give people the opportunity to save on this large appliance expense without dictating that all laundry facilities must be shared. The common laundry can be a pleasant place to encounter neighbors, plus it’s a useful backup even for those who buy private washers. 12. Will I hear my neighbors? We believe proper sound insulation is essential for neighborly harmony. We have prioritized between- and in-unit sound dampening and plan on walls rated at 54 STC. This means that even if your neighbor is practicing the trumpet, you will not hear them. There will be underground parking, for cars and bicycles. Our plan is to include a parking space per bedroom, as required by the City of Malden, so we will have ample spaces for everyone and their guests. The parking garage will be wheelchair accessible by elevator from the interior and a ramp from the street. 14. How many units are still available? 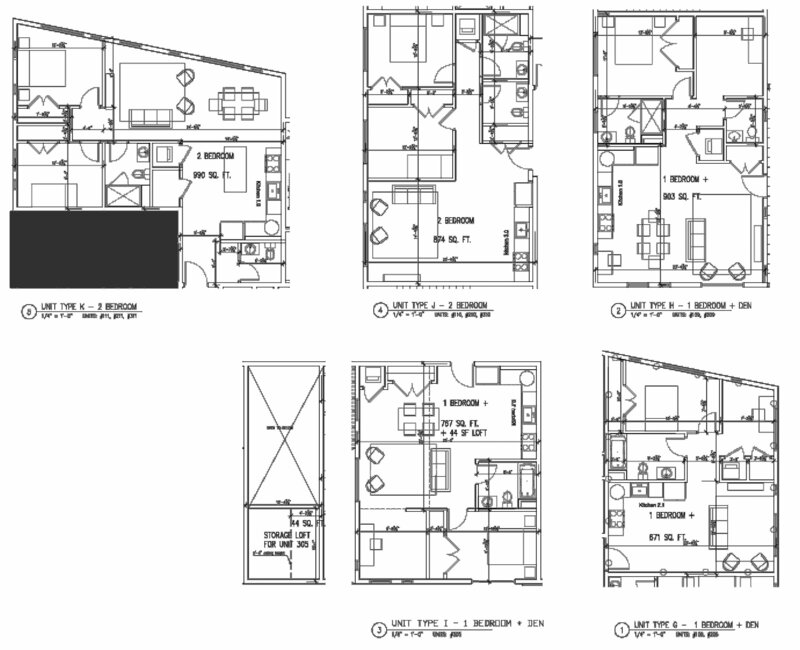 Check out our Site Plan and Unit Availability Page for a full overview of what units are still available. 15. Where are you in the development process? 2013: Project definition: We spent the first year defining key parameters of our project. We committed to making decisions by consensus and began receiving training in doing that well. We brought on cohousing consultants to help us compose our project vision statement. Starting from that vision and researching the area, we settled on four Boston-area cities to search for a site. 2014: Company formation: The following year was all about bringing together our team and establishing our governing documents. We grew from four to eight households, defined the approach we would take to project financing, wrote our organizational by-laws, and incorporated as an LLC. In late September, we took our first equity investments from members. 2015: Site search: Together with development consultants, we scoured our top four towns for property where we could build. We rapidly discovered just how challenging this process would be. Developers are buying property near Boston as quickly (or usually, before) it comes onto the market. Would-be sellers ask prices that make building affordable housing outright impossible. Even so, we attracted investment from three new households. And late in the year, we entered into negotiations to buy a promising piece of property. 2016: Site search into development: We hired Chris ScottHanson — author of The Cohousing Handbook and development manager for over 35 cohousing communities in the United States — to help us negotiate and move forward through site acquisition. We worked with architects to develop a program for how we wished to use the property and explored in detail how to approach ecological sustainability. Enthusiasm for our momentum helped us add two new invested households. 2016: Another site search: After six months, however, it became clear that the site we had focused on would not work out and we went back into search. We quickly identified 368 Pleasant Street in Malden as where we wanted to go next, and put in an offer. We evaluated proposals from three teams of architects and selected the Neshamkin-French and French2D team. The American Legion, owners of 368 Pleasant Street, accepted our offer to buy their site, and we began formally evaluating the site’s feasibility for our project. 2018: Purchase of American Legion Building: Bay State Commons purchased the 368 Pleasant Street property in April, 2018. Dec 16-January 17: Our architects led us through a “visioning” phase, in which we laid down the general parameters of our project for the architectural team. We identified key uses of common spaces, our preferences for private unit features, and how the overall structure would inform the relationship between the private and the shared. February-April 17: We continued into “concept design,” in which we selected the overall building structure, the placement of parking, and the mix of unit sizes. 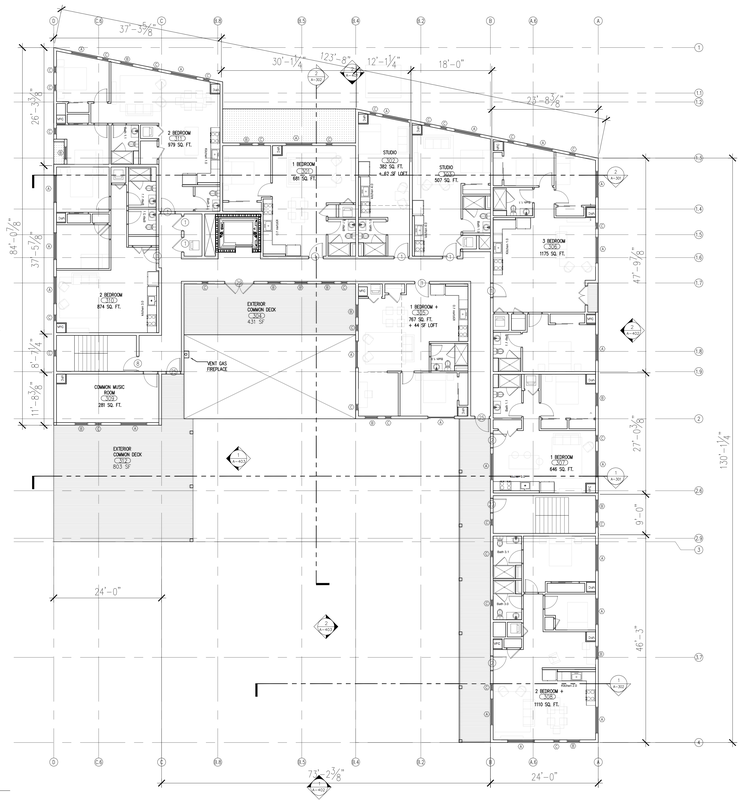 May-July 17: We worked with the Neshamkin-French/French2D team to develop a “schematic design.” This phase entailed placing the individual units within the building, evaluating light and airflow in the context of various materials, and developing aesthetic choices. August 17-August 18: The architects led us through “design development.” This highly technical process involved contributions from specialists in many areas of engineering. The architects placed windows, developed detailed plans for wall composition, and called for final decisions on things like ventilation. Based on an initial building permit denial for having a portion of the project be over four stories, design development was continued to formalize a three story version of the project. August 2018, we formally applied for project permitting from the City of Malden. Between now and then, we have time to work out some final design details and focus on marketing. Of our community’s envisioned 30 units, we have now pre-sold 15, and 3 Associate households have expressed an intent to come up to Equity. Early 2019, if all goes well with permitting and construction financing, we will begin construction on the site of the new Bay State Commons project. 16. Good story, but when should I get involved? If you are curious and waiting for the opportune moment, the time to get involved is right now! Send an email to baystatecommons@gmail.com or come to one of our or business meetings that occur every two weeks. We would love to meet you. 17. What’s the procedure for buying a unit? Bay State Commons has a membership process intended to give new households the opportunity to get to know us and make an informed decision as to whether BSC is right for them. After coming to a few planning and social meetings and reviewing the basic project documents, a household can come up to Associate membership for a one-time non-refundable fee of $250. Associate members participate in our meetings and have input into the final design of the community, but they haven’t bought a unit yet. When a household has properly evaluated the rights, responsibilities, and risks of involvement at this phase (which include permitting and securing construction financing), they can come up to Equity membership. The financial obligation of Equity households is $5,000 up front and the remainder of 10% of their unit price within 90 days. For households demonstrating financial hardship, we offer payment plans in consultation with mortgage lenders. When construction is complete, this investment in BSC becomes equity in the new home. Note that Bay State Commons Cohousing is currently undergoing updates to the proposed building layout that will be based on a 3-story 30 unit building. Updated site plans will be posted once available. Until then, the below site plans are out of date. Bay State Commons Cohousing is actively pre-selling units. 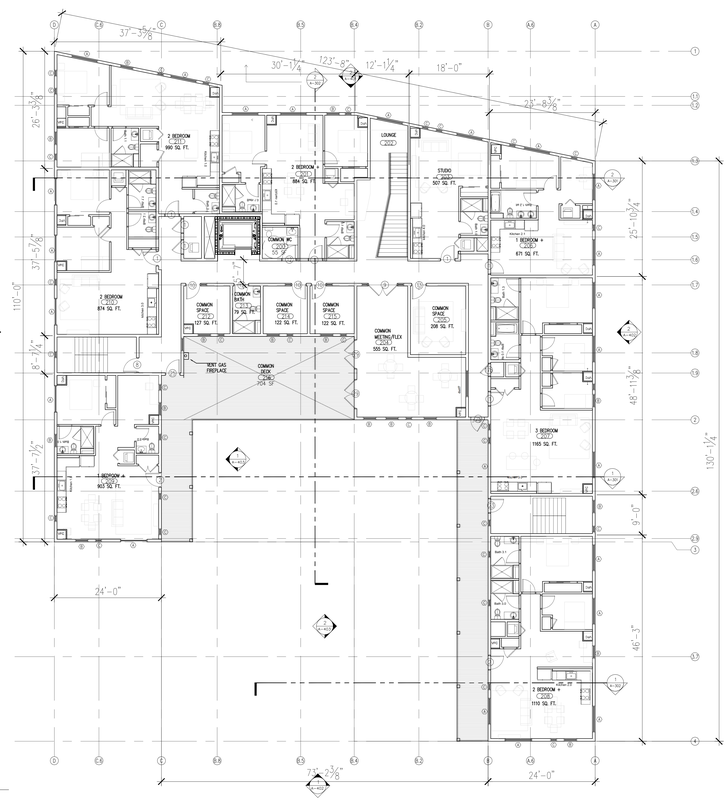 Once built, our project will have units sized from studios to three bedroom units. In addition to private units, the property is envisioned to have 5,000 square feet of expanded common spaces, including a meeting & work room, entertainment room, wood shop, yoga/workout studio, kids play room, arts room, music room, social room/pub, great room and large common kitchen and dining area that may be used for optional weekly shared meals. There are also outdoor decks on each floor, and a courtyard with green space that is envisioned to host gardening and other outdoor activities. 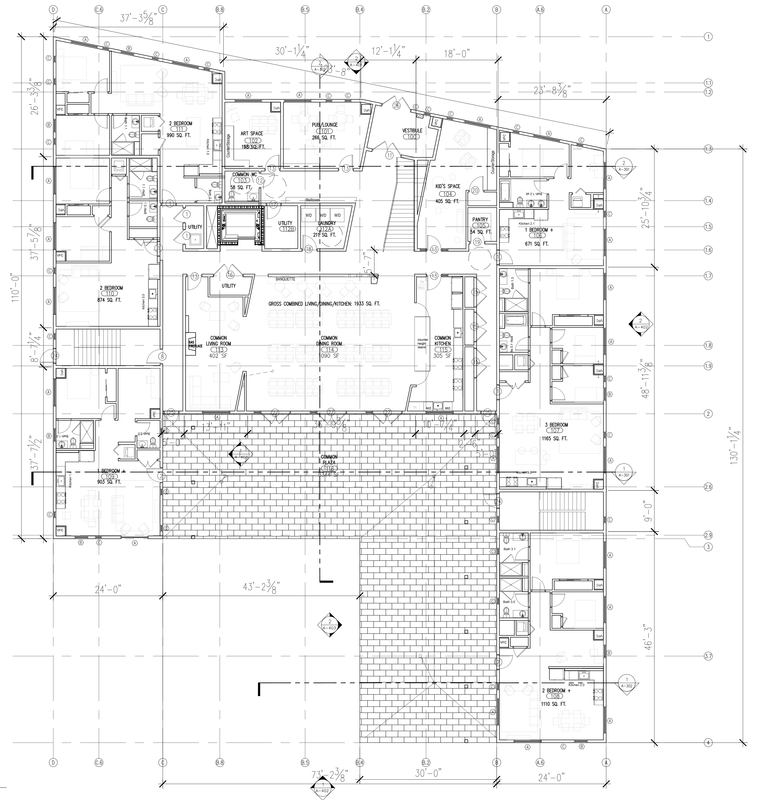 See preliminary architect design renderings of common areas and windows for an initial visualization of the building space. We have three levels of membership in BSC: Prospective, Associate, and Equity. Each level represents a greater commitment to the community. Anyone who wants to know about what we’re doing can be a Prospective Member. Once you are on the mailing list, we will let you know about any open meetings and social events we are planning. If you are curious about Associate Membership and would like to learn more about how we operate, please let us know by contacting us at the link below. to voice opinions in meetings. To voice opinions and make decisions that shape the community.